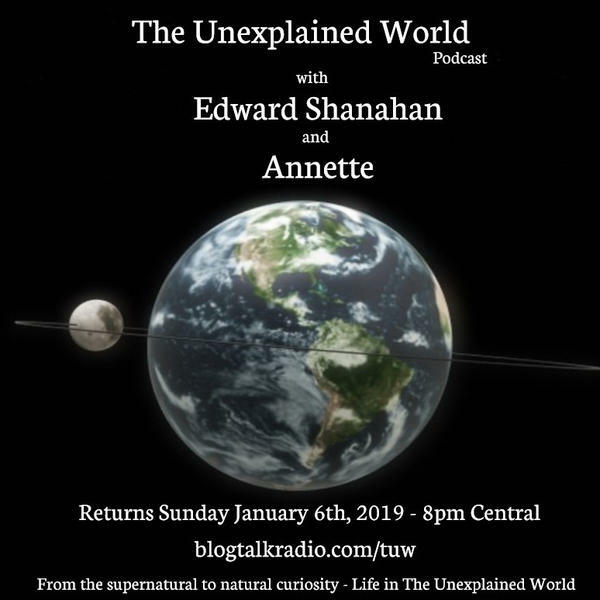 Join Annette and Edward Shanahan on this 'Not On Sunday Night' broadcast of The Unexplained World. Open Lines, Open Minds and Open Mouths as the listeners become the guests, Annette and Edward are a more open and much more on this Not On Sunday Night, broadcast of the Paranormal and Supernatural and who knows what else or who we may have call in? ** Binky the Zombie called in **.